PEPPER PIKE, Ohio — It's state law to slow down or move over when there is an emergency vehicle on the road, but some drivers still don't seem to get it. 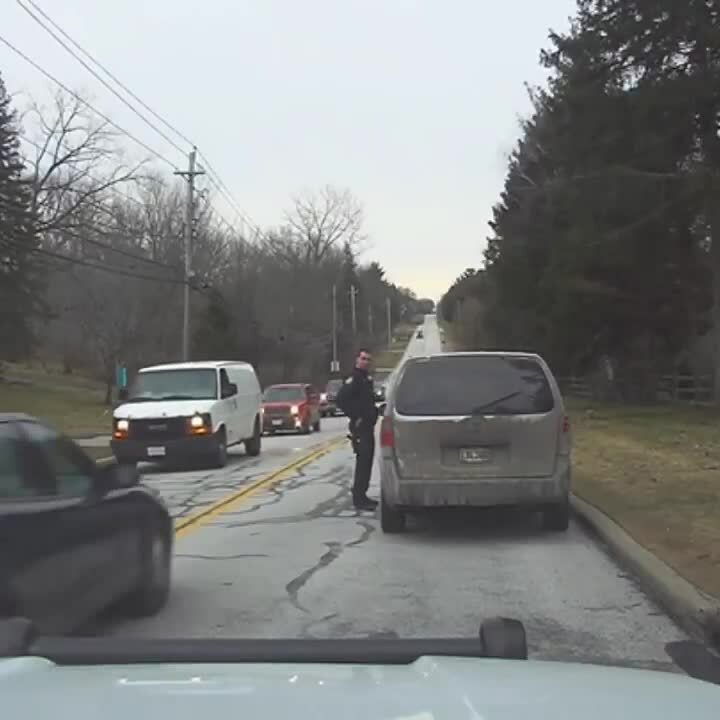 In a video released by Pepper Pike police, a driver zooms by an officer conducting a traffic stop while incoming traffic is moving in the opposite lane. The police officer had to move as close to the vehicle he stopped as possible to avoid getting clipped by the passing car. Just last month, a cruiser was crushed on I-77 after a vehicle failed to move over for police on the highway. Ohio law requires all drivers to move over one lane when passing any vehicle with flashing or rotating lights parked on the roadside. If moving over isn't possible, drivers are expected to slow down. From 2013 to 2017, OSHP cruisers were involved in 58 crashes that appear to be related to the move over law. Those crashes resulted in the deaths of two civilians and injured 24 officers and 34 civilians.